2. Where do you live, Maria? To be honest I don’t read as much as I would like; and not one specific genre. I am a “butterfly” reader, if there is such thing. I only like reading parts of a book, sayings or outstanding personalities’ quotes as I believe in the power of “instant literature” as I call it. Also I love picture books, especially those for all ages. To read something in more detail I must have a purpose and it must be relevant to what I am writing at the time; that helps put my imagination in a certain channel. 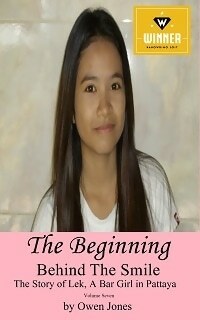 My genre is mainly children’s fiction but I have written a novel for adults. I have had a series published in Greece. Three double-sided illustrated books with two stories each have been published by Noisi Publications (www.noisi.info) under the pen name “Mar-Mor” plus one e-book on Amazon-Kindle, so far. “ALEXANDER and the 12 Nereids” and I recommend it to both children and adults. It is a short story inspired by Greek history and legend. Alexander, the Great King of Macedonia was followed by 12 Mythical women. It all starts on the day of his birth in 356B.C. and finishes with his tragic death while his glory was still at its zenith. Who are those mythical female creatures behind this powerful man and how do they interfere in his incredible life? This fantasy-suspense drama takes the reader to ancient times and another dimension with Alexander and his adventures. I have quite few stories to prepare for publication, but I always welcome an idea that comes into my mind out of the blue… And then I am ready to abandon everything and follow those footpaths of my rampant imagination. It has to be MANI, in my home land Greece. For me it is the centre of the universe and the place where my inspirations come from. You will understand what I am talking about if you read the book “MANI” by an incredible man, Sir Patrick Leigh-Fermor. He and his amazing wife, Joan, were very good friends of mine. My huge admiration for them and the time I spent with them made me catch the writing virus and they supported me in every way. The least I could do was to devote my book, “ALEXANDER and the 12 Nereids” to their memory. the light was fading away and the shadow of the moon was moving over the sun, the brightness of midday was disappearing and that worrying feeling started to overcome me. On my next quick look outside, as I put the dark glasses in front of my eyes once more to see the impressive phenomenon at its peak, suddenly, I didn’t know how I lost my balance, I found myself rolling down the stairs. Some bruises on my legs, hands and back were the result. A little bit later, as I was giving my children their lunch, I climbed onto a chair to reach something, and again, I lost my balance and fell on the table causing havoc; glasses and plates breaking. What was happening to me? It was quite frightening. universe’s present for my birthday! Yes, that day of the eclipse was my 29th birthday! I just love traditional foods around the globe. I don’t have a favourite one or anything, as long as it is not a recipe with dogs, cats or cockroaches…maybe cockroaches… Talking about food I have been interviewed by Rick Stein for his new series, “Byzantine Odyssey”, about my close relationship with Sir Patrick Leigh-Fermor. Our world is far from perfect, Injustice and exploitation create terrorists or “heroes” for some! I am not a terrorist; but I am not innocent either. Yes! His reaction was to tell me to come to join the real world! But I prefer my own (see the answer above) and I would like to invite others to join in. I promise them it is exciting, enchanting and the right place to hide from reality. Thanks very much for calling in Maria, and answering these questions about yourself and your work. If you ever get to come over to Thailand for a real Thai curry, we will have to see if we can meet up. I hope you will come back and let us know when your next book is complete. My thanks to you, Maria Mavroyenneas for a very interesting interview! It has been a pleasure you introduce you to our readership. Read author Maria Mavroyenneas’ interview here! You are very welcome to my blog, Maria 🙂 and if you come to Thailand, you will be equally welcome to our home. Thank you, Owen, that is really nice of you!? Sorry for the late response to say thank you, Owen, for giving me the opportunity to appear in your very interesting Blog. I am still quite unfamiliar with these things, I really appreciate it! Also special thanks to authors: Yelle Hughes, Bridgitte Lesley and Angel Sefer for Liking my Author page! I will let your readership know when my next book is out, very soon I hope! If one day I visit Thailand I would love to meet you and your nice family! Hi Owen, just to let your readership know that Rick Stein’s new program, “FROM VENICE TO INSTABUL”, in which I have a small part, has already started on BBC2, Fridays 21:30. If anybody is interested my ‘moment of fame’, it is in the 6th episode (on 11th. September 2015 and for 30days after that on BBC iPlayer) when Rick Stein arrives in the Peloponnese – Greece and at, my birth place, MANI. Thank you! Owen, I would like to inform your readers about the nature of my contribution to Rick Stein’s programme on Fri. 11-9 on episode 6, on BBC2. It is a chat over lunch at a local taverna about my opinion of the way people eat here in Wales. I hope that gives people the motivation to consider the terrible effects of our bad eating habits on our well-being in our modern and over consuming societies. Unfortunately, the talk Rick Stein and I had about Sir Patrick Leigh Fermor wasn’t included in the programme. I understand they only have a certain amount of air time to dedicate to each subject matter. I am quite disappointed about that; more than anything because I mislead everyone! To make up for it, here is a photo of myself with the late, great man. He was truly a gentleman in every sense of the word! I miss him and his wonderful wife, Joan, very much. My two minutes of fame! (17:40 – 19:40) Rick Stein and I are talking about the way people eat in Great Britain.